This is operation maximum camo cool for kids! If your kids decor needs a re-do, check out this Kid’s Twin Size GI Child Bunk Bed with Slide and Tent. Crafted in sturdy steel tubing and styled to an Army theme, this bunk bed comes complete with side ladder, underneath tent and fun slide. 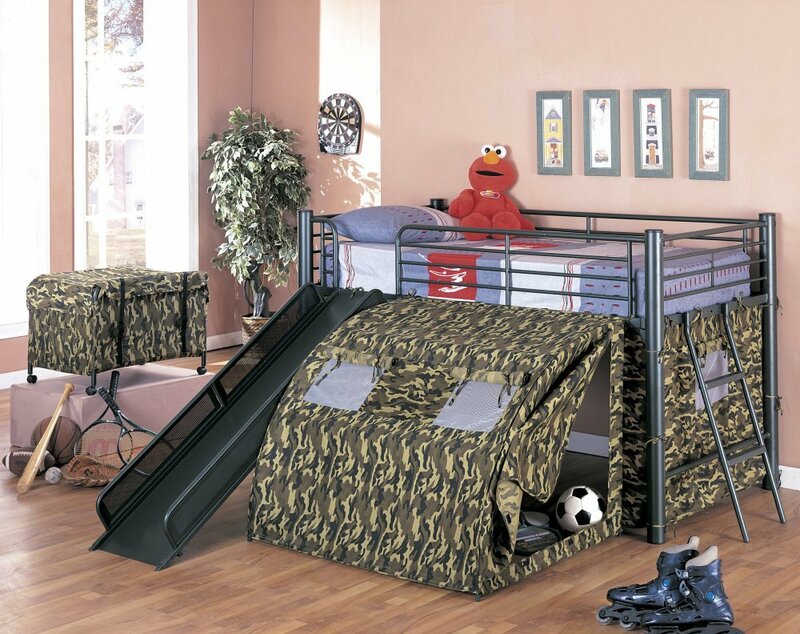 This bunk bed is perfect for army camouflage style fun and games for your kids. Built to last many years, this bed is the perfect creative addition to any children’s bedroom. Bed mattress is sold separately. Coaster Kid’s GI Child Bunk Bed with Slide and TentBuy It!